I said that I don’t have any weird animal fetishes in an earlier post. But I guess I do have a fetish for ancient cultures. This is because all over the world, I’ve found that thought patterns which became established in ancient times have shaped people’s assumptions about reality up to today. This was very true of ancient China. So we’ll travel way back to the Yangshao culture (5000-3000 BCE) and see how China began to become Chinese. Here are some more facts and maybes about ancient China’s Yangshao period (you can either begin here, or read the earlier post on the Yangshao period ). 1. Archeological findings show that differences between people who were wealthy and folks living at subsistence levels were increasing. Some graves from the 4th millennium BCE contained many more goods than most others did. They included stone and jade tools like axes whose blades had never been used. Maybe they were employed in rituals to display the departed’s status on earth. David Keightley, in his article in Heritage of China, wrote that people might have believed that elites maintained their status in the afterlife. 2. Houses with multiple rooms became common in the Yellow River area and the middle Yangtze. In many, each room had its own door. Zhang Zhongpei, in The Formation of Chinese Civilization, wrote that a different nuclear family might have lived in each room, and that all might have been within the same lineage. Some homes were in the form of a longhouse (like the above model of a home from Henan Province) with a line of separate rooms. Some were over 200 feet long. 3. 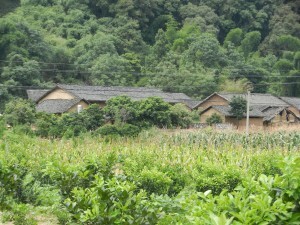 Zhang wrote that differences in status emerged between villages. 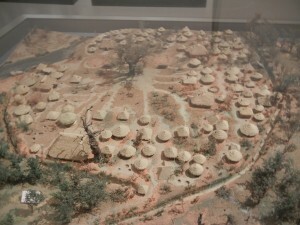 Some were surrounded by defensive walls, and they had a chief’s meeting hall and buildings with religious functions. 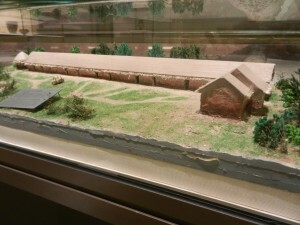 You can see a few especially large buildings surrounded by small ones in the model of the Banpo village in the above photo–status distinctions were becoming visible in several media. 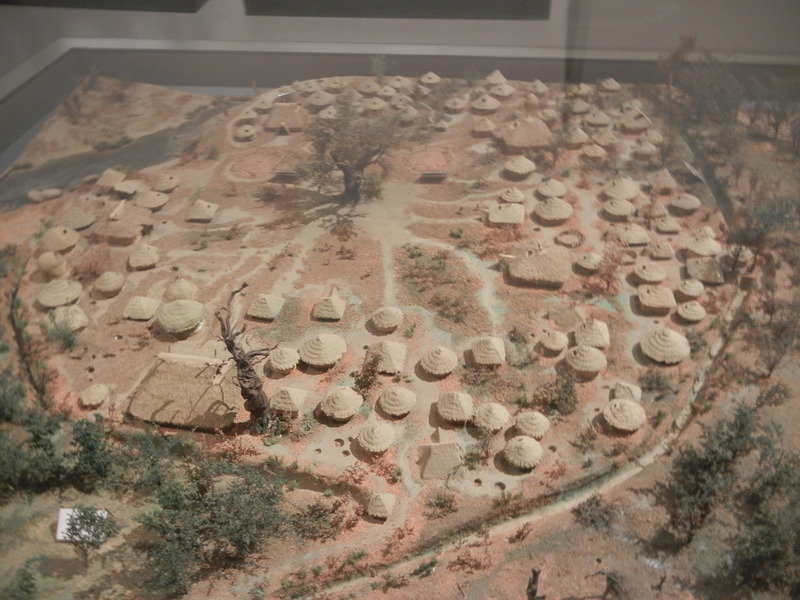 In this village, each large building was surrounded by 10-20 smaller ones. All the buildings surrounded an open central area which could have been used for ceremonies and political assemblies. Larger buildings in some villages had rammed earth (hangtu) foundations. They required a lot of labor, so either someone directed a large number of people, or groups formed consensuses. 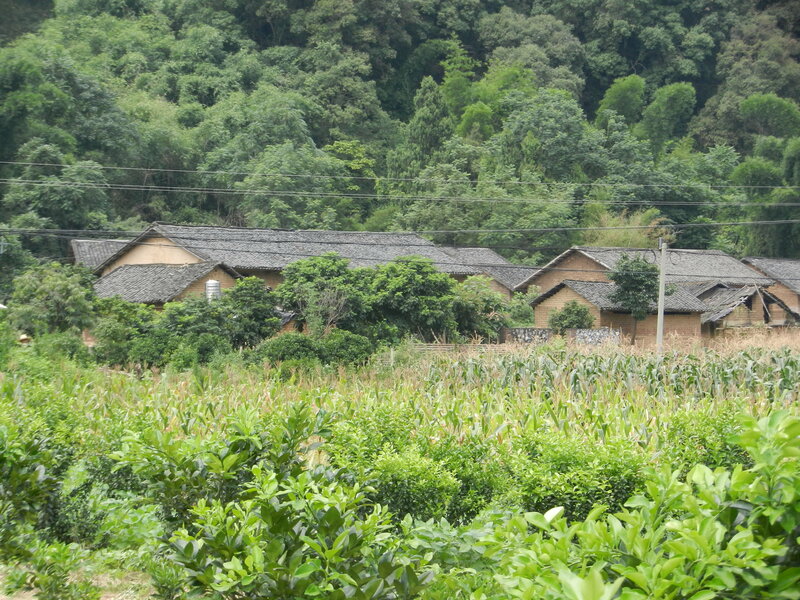 Yangshao villages required a lot of planning and cooperation to build. So archeology suggests that people in the Yangshao period settled into increasingly large communities that were tightly knit, socially stratified, and perhaps organized into different lineages. Some of the most dominant political structures in China’s history were already emerging. 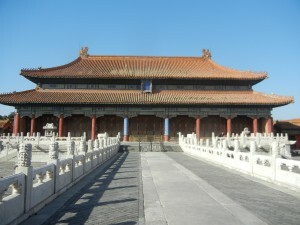 People in China stressed communal harmony and status way back in Yangshao times, and they thus laid deep foundations for Beijing’s Forbidden City (above) and for China’s elitist politics today. In the next post on the Yangshao period, we’ll explore things that give deeper glimpses inside its people’s heads. They suggest more continuities between this very ancient period and Chinese culture today.